I’ve always been fascinated by some of the tings that food stylist do to their food to make it look as good as possible for food photography. Some of the things they do are really bizarre! 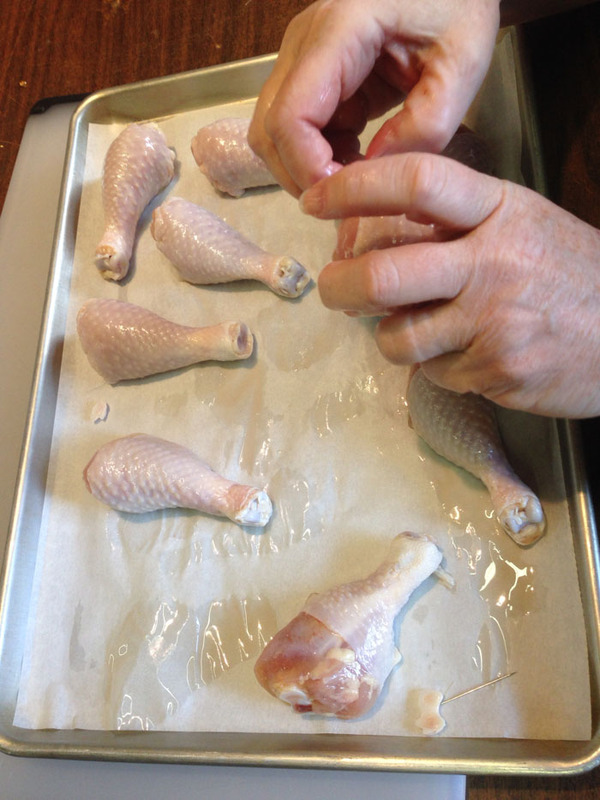 So, here are some iphone photos of Food Stylist AnneMarie Leyden sewing up the skin on the legs of dead chickens. I tried to tell her that the chickens were way past the need for first aide, but she insisted on doing the deed. 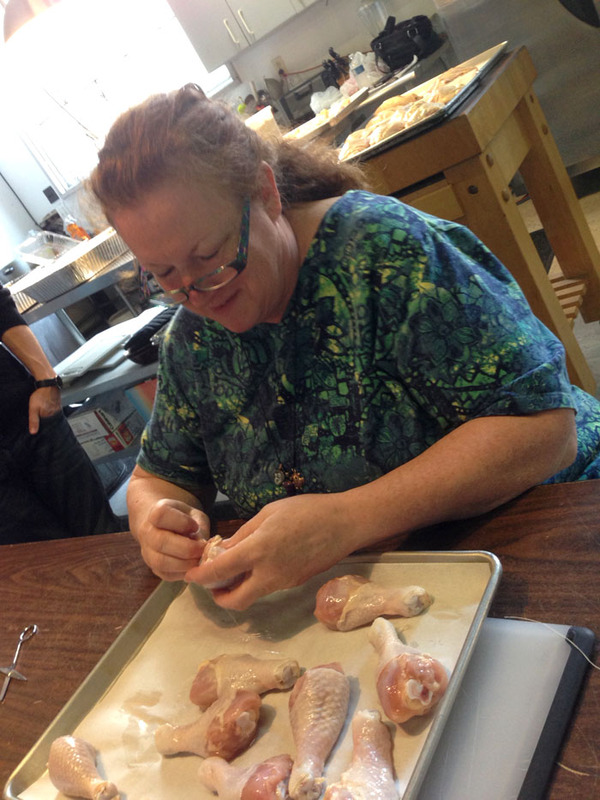 Professional Food Stylist AnneMarie Leyden shows a a food stylist trick, sewing up the skin on chicken legs in order to have the skin cover the whole leg, making it look PERFECT! Here’s a shot of AnneMarie actually sewing up the legs. Notice she hasn’t gotten to the one at the bottom of the frame. It’s easy to see what a difference it would make to the final food photo. 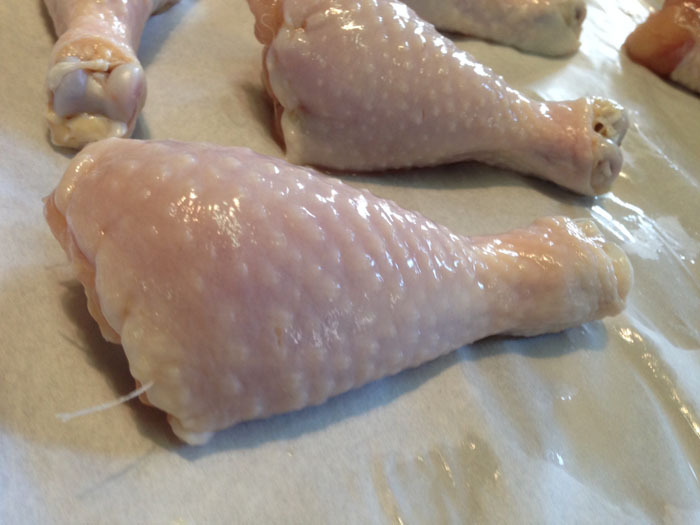 Here’s a shot of the chicken leg before the final stitch clipping. That’s why it’s never a good idea to steal any food to eat at a food shoot without asking specific permission of the food stylist. Ya just never know what has gone into the preparation of the food. 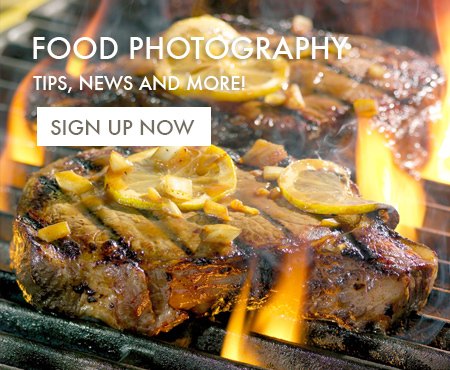 I remember when I first started photographing food. I was on my way from the kitchen to the set and I passed a plate full of red grapes, so I picked one and popped it into my mouth. Bad mistake! The food stylist must have sprayed the grapes with some kind of varnish, probable crystal clear. I’ll never make that mistake again!